On Thursday, March 21, supporters of Greater Ottawa County United Way gathered at the annual Celebration event at Trillium Event Center in Spring Lake. Throughout the evening, guests learned more about United Way’s impact work and volunteer engagement in Ottawa County. Attendees celebrated award-winners in the areas of GIVE, ADVOCATE and VOLUNTEER. The evening concluded with an announcement that the amount of community benefit achieved through the community’s efforts in engagement and impact was $8,579,889. This year’s top two workplace campaigns were run by Haworth, Inc. and Shape Corp. Together they raised nearly half a million dollars for the campaign. More than 6,000 donors gave to Greater Ottawa County United Way as part of 190 workplace campaigns, with the total community campaign raising $2,076,814. In addition to the community campaign, United Way received over $1.5 million in grants and sponsorships to support community impact during the past year. United Way also recognized individuals and companies for their creativity and effort in running workplace campaigns. Great Lakes Casting received the Above and Beyond Award. This award is given to a company campaign coordinator or committee who consistently goes above and beyond in managing the workplace campaign. United Way’s Out of the Box Award for the most creative approach to engagement with United Way was presented to Falcon Corporation. 12 Ottawa County companies and organizations received United Way’s Community Builder Awards, indicating that they met five key criteria for giving, advocating and volunteering within the community and on behalf of United Way. The award recipients include: Anderson Technologies, Chemical Bank, Children’s Advocacy Center, Falcon Corporation, Fifth Third Bank, First National Bank of Michigan, Greater Ottawa County United Way, Grand Haven Custom Molding, JSJ Corporation, LightCorp, Macatawa Bank and Mercantile Bank. For the third year, the campaign featured the Ottawa County Leadership Challenge, which matches new gifts of $500 or more from anyone who lives in Ottawa County or works for an Ottawa County company that holds a workplace pledge drive. It also matches any increase in donation from those who gave at the leadership level last year. In the 2018-19 campaign, the challenge match reached its highest level ever−$93,500 from 16 donors. The challenge was met and exceeded, with $149,066 in match-eligible gifts. The 2019 Lighthouse Leadership Circle consists of 663 gifts and pledges that total $876,132. New this year, young leaders (defined as those born in 1978 or later) who gave or pledged $250-$499 had their gifts matched by the challenge to equal $500. As a result, 99 new young leaders have joined the Lighthouse Leadership Circle. This year’s Lynne Sherwood Lighthouse Leadership Award recipient is Grand Haven Custom Molding, receiving the award for the second year in a row. This award is given to a United Way campaign company that demonstrates the greatest increase in leadership giving, or to an individual, couple or family whose community leadership sets an example for others to follow. Grand Haven Custom Molding was founded in 2010 and has been growing ever since. Six years ago, they joined the United Way campaign, and every year their campaign has increased. This year, 88% of team members pledged to the community campaign, 33% at the leadership level and another 22% as Young Leaders. For a relatively small staff of 100, Grand Haven Custom Molding helped United Way to earn $15,316 of the $93,500 Ottawa County Leadership Challenge. United Way’s nonprofit community partners are crucial in addressing challenges and making an impact in Ottawa County. The 2019 Nonprofit Pinnacle of Partnership Award was given to TCM Counseling for their collaborative partnership with United Way. The recipients of this award exemplify a commitment to improve the quality of life for Ottawa County residents through leadership in service and education as well as a year round partnership with Greater Ottawa County United Way. United Way’s Vice President of Community Impact Liz DeLaLuz also honored six community investment volunteers with 10-year service awards. Community Investment volunteers review applications, tour sites and make funding recommendations for United Way’s community partner programs. Consumers Energy was presented with the G.W. Haworth Strength of the Community Award. This “lifetime achievement award” recognizes an organization, family, couple, or individual that exemplifies United Way’s leadership spirit of volunteering, philanthropy and community decision-making. Consumers Energy is Michigan’s largest energy provider, and serves more than 75,000 homes and businesses in Ottawa County. Their company, foundation, employees and retirees provided over $125,000 to nonprofit organizations in Ottawa County last year. They also volunteer in the communities they serve. 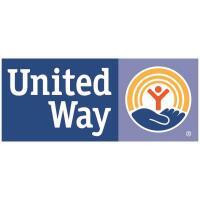 Consumers Energy believes strongly in United Way’s impact work throughout the state. In 2018, Consumers’ employees, retirees, company and foundation contributed nearly $1 million to support United Ways in Michigan. Volunteers were also recognized during the Celebration event. United Way’s VP of Volunteer Engagement Shannon LaHaie announced that a total of 9,922 volunteers gave 107,375 hours of their time for a total impact of more than $2.6 million in the community over the past year. United Way volunteer programs such as Day of Caring, Rake a Difference, Home for the Holidays, and Students Live United continue to make a difference in the lives of thousands in our community. Grand Haven High School Senior Alexa McVoy was recognized as this year’s Students LIVE UNITED (SLU) award winner. She had the highest number of volunteer hours of the participating SLU seniors in Ottawa County, coming in at 629.5 hours. The 2019 Volunteer of the Year award was given to Chris Streng for his servant leadership in our community. Chris is a native of Grand Haven and a naval hero. He currently gives back to his community as a youth soccer coach, an American Red Cross blood donor, a United Way Community Investment Panel Leader and through many other local boards and organizations. Recently, he and his wife Kristi co-chaired the Grand Haven Reimagine 2.0 project. The Greater Ottawa County United Way Board of Directors and staff would like to thank our generous supporters and volunteers for their investment in our community. Because of your support, we are able to continue to unite people and organizations with the passion, expertise and resources to make an impact in Ottawa County. To learn more about United Way’s work in our community, visit www.OttawaUnitedWay.org or call (616) 396-7811.